There’s no point designing an innovative product or hosting a great sale or promotional event if no one ever hears about it. Creating consumer awareness and engagement is easy with our Branded SMS Service. With mass SMS, you are given the ability to design and broadcast compelling marketing campaigns to tens, hundreds, even thousands of customers at once. With the simple click of a button, Bulk SMS messaging allows you to reach your entire customer base simultaneously and with a read rate of 99%, it also ensures your message will be heard loud and clear. Don’t get stuck with ineffective marketing channels, choose a solution used by over 85% of the world’s population – Contact us to Learn more about how your business can benefit from Bulk SMS messaging today. 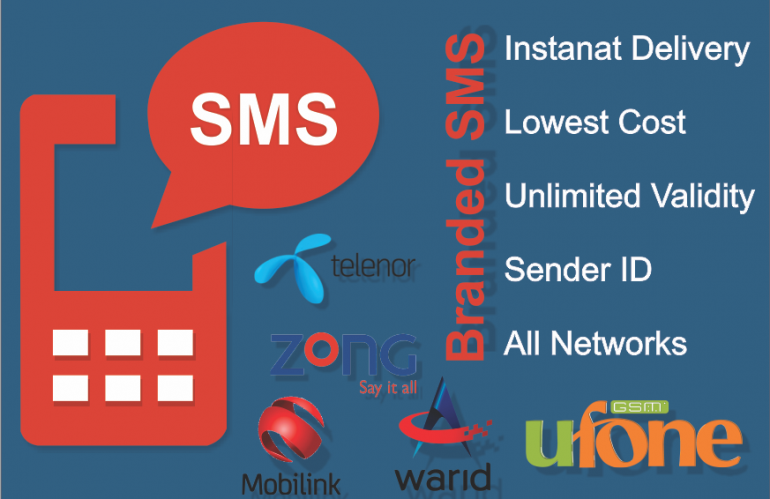 Brand Masking through which you can send an SMS by the name of your Business or Brand i.e when an SMS will be sent it will not be by number, your Business Name will be displayed on the receiver mobile Screen.